I’m going to step over a few boundaries…being a romance writer and all…and I’m going to blog about why the wedding just isn’t the Cat’s Meow [for me, anyway]. An era [or two] ago, the wedding was the pinnacle, the day girls dreamed about…the brass ring [or the gold one]. I’m a huge advocate for weddings. I’ll admit to crying when I go to them. I love the dancing, the food, the dressing up. If you’re lucky…free drinks, too! But, the truth is… It’s a day, a start to something much bigger. But as a married person, the wedding day seems more like the catalyst to everything else. As a writer, I believe that it’s the journey, not the goal, that is important. 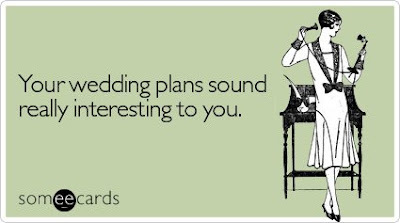 That being the case, the wedding is…eh. Wear white, wear red, wear black. None of that will change who you are and how you’ll need to change or grow in order to live in peace with your best friend. It won’t change the trials you go through, the highs of being in love, and the lows of being hurt. When I finish a story and I think to myself… epilogue or no epilogue??? I’ll tap my pencil on my desk and think. What do I want to show? It’s NEVER the wedding day. It’s always beyond that…to the real HEA. The joys of married life and having someone beside you through thick and thin.